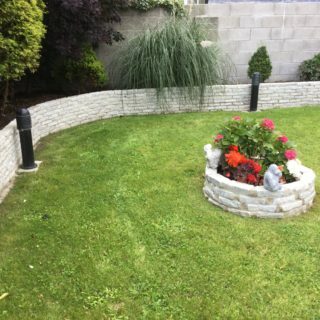 With over 15 years experience in designing, constructing and nurturing gardens, Oakleaf Landscaping has become one of the leading landscape gardeners in Dublin and Meath. From traditional to contemporary styles as well as ongoing garden maintenance for commercial customers, our expertise covers tree surgery, garden design, construction, gardening and horticulture. Oakleaf’s tree surgery covers a full range of tree solutions like advice and guidance, emergency tree surgery, tree maintenance and tree removal. Our methods are safe and efficient from conception through to completion. 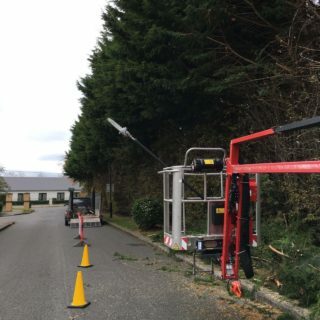 Our tree surgery utilises the latest tools and techniques and our tree surgeons work with knowledge and care to complete a range of services from light pruning to the most difficult removals. Oakleaf Landscaping has over 15 years experience in designing and constructing gardens. We carry out all aspects of garden design from conception through to completion. Our garden design involves choice of flora and layout as well as design of lawns, paving, water features, walls, raised planters and garden sculptures. We work to the client’s brief to bring ideas to life and maximise outdoor space. With nearly two decades of construction experience our garden design team are equipped to handle any job from design through to completion. Our professional service comes with the satisfaction in knowing your garden will be completed by fully insured craftsmen using quality natural products. Most of our business comes from referrals and we stand over all our jobs to date. For more visit our landscape construction gallery. Our garden maintenance teams specialise in both domestic as well as commercial projects. No job is too big or small. Clients range from domestic gardens to commercial grounds maintenance on apartment blocks and office parks. All our trained staff are skilled in pesticide handling, machinery operating and first aid. The options for garden construction are limited only by a clients imagination. Once a plan is decided upon our garden design team work hand in hand with the construction teams. 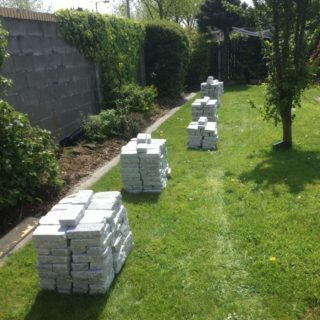 At Oakleaf Landscaping we only use top quality materials. All are gardens are built to stand the test of time. For more please visit our garden construction gallery.